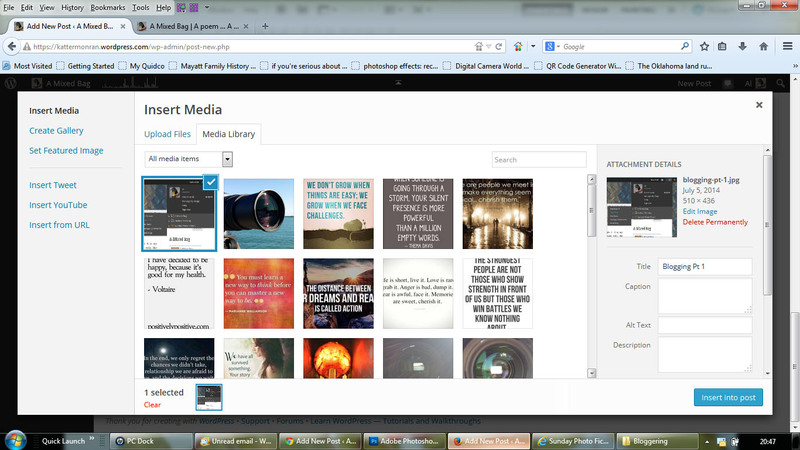 Create A Gallery: Images are tiled together, or you can set separate circles or separate squares. Insert from URL: Added from external website. 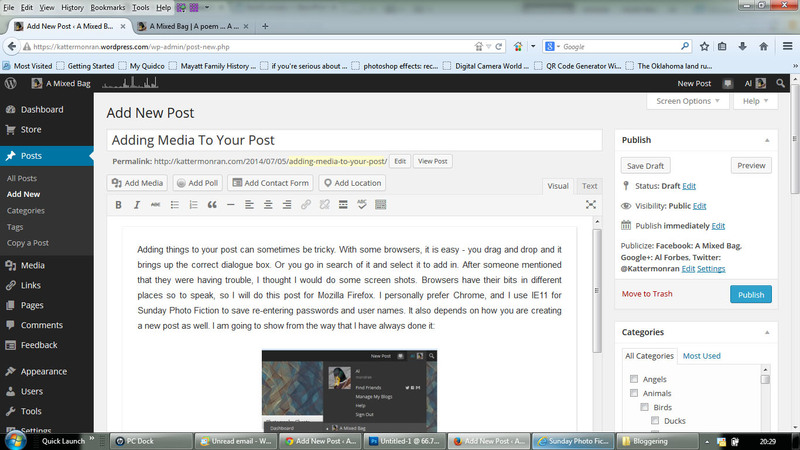 This entry was posted in Bloggage and tagged Blog, Creating A Post, Help, Inserting Media, July, WordPress. Bookmark the permalink. Hi Al, thanks for this awesome post. I have learnt some stuff. Can I confirm that Kitchen Sink is in ‘text’ mode and can you confirm the icon for it please. 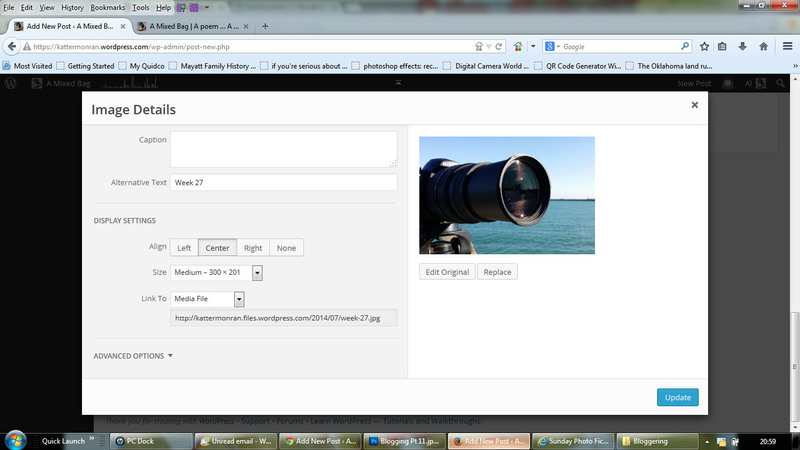 Also, with the gallery – How does one select multiple photos? How is the YouTube different from embedding? Does the hashtag appear when someone else shares your content or just when you do? I have much to learn. Embedding will only work if you have purchased wordpress which is why I didn’t add it. 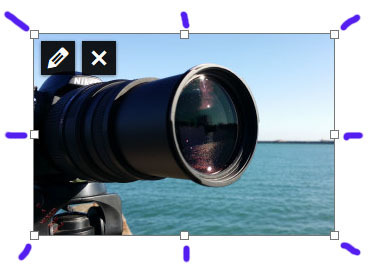 Selecting multiple photos, you hols CTRL down whilst clicking the images you want to include. I think the hashtag is only when you do it. Hi Al, thanks for that. I think I may have confused you about embedding. I meant, how does the YouTube feature you are talking about, differ from just copy and pasting the code as a means of embedding it? In YouTube you can select from 3 thumbnails to use, and the one that is chosen, should automatically come up with the video. 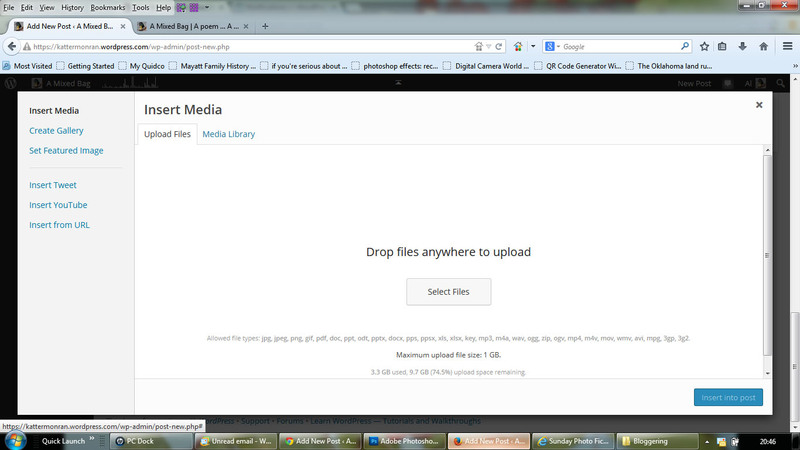 I have learnt more about YouTube and WordPress.org recently. 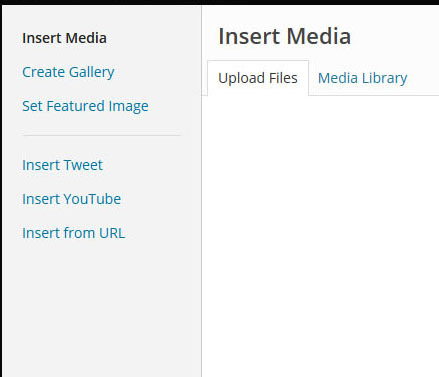 There is a YouTube plugin and you don’t need to copy and paste the code, you just need the username. Handy. Oh. I must have read this wrong – Insert YouTube: You will be asked for YouTube Address or YouTube User name – I thought it worked like the .org because of inserting the YouTube user name. Yes. That is the same as the.org. I didn’t know you could do this in the .com. I have only ever embedded a video. Interesting. I love learning new stuff. …and you know what….. I got my new small, very silent computer, built by my son. Using Chrome now as browser now. 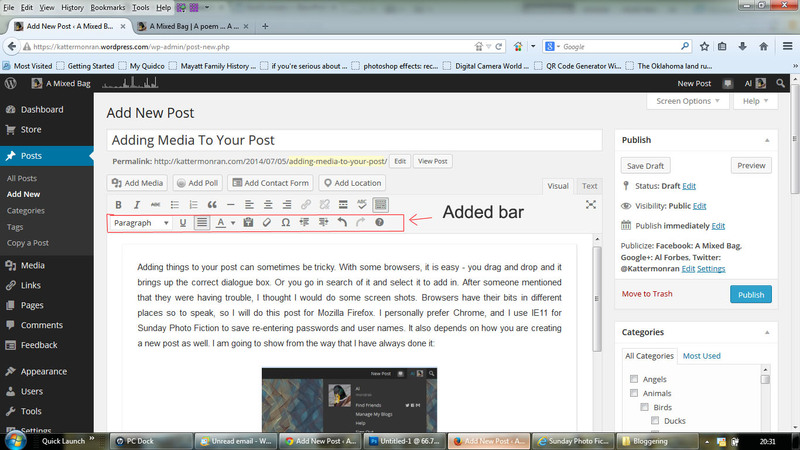 Checked my WordPress and it works as you say… super! 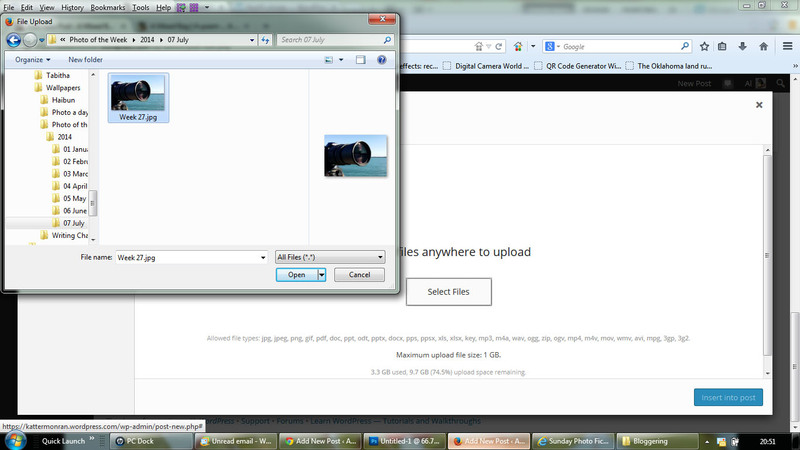 wait… I have these videos I took in Hawaii… and some band videos… how do I add those, oh guru? Do you pay for your WordPress? You are a genius, Al I love you! 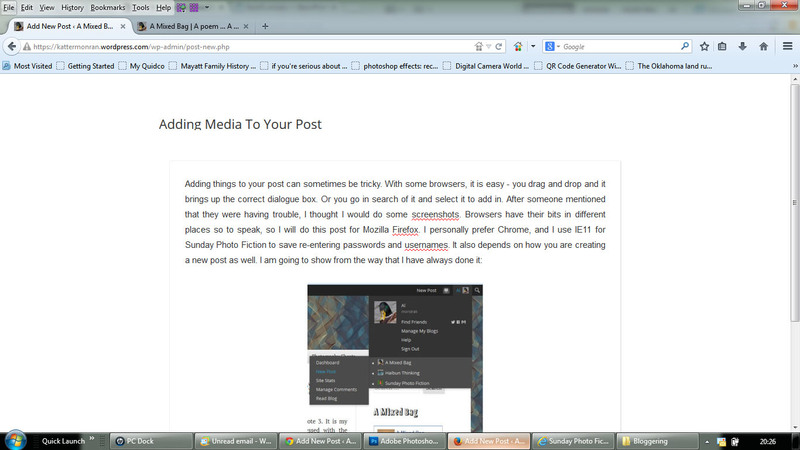 You restored my faith in WP again…..I thought I lost it all and my sanity. 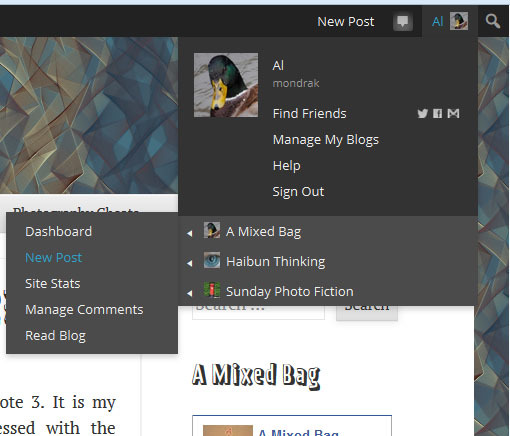 It was the way I got a new post starting which was different how you do it — and I have my beautiful menu back. I am so glad I was able to help. I clicked on the New Post link beside the speech bubble, and there is nowhere there to add photos, so if adding media, it is best to go through the long route. Excellent post! Good for you Al … This is such and important part of blogging. I wish someone had written one when I was starting out. You really did a great service to the community! I do as well. It took me a long time to work out how to do it myself. One further query. Recently I was endeavouring to wrap text around images and line up images on the same line. The latter was achievable by reducing the size of the image, however, it was fiddly. The former , text wrap….well let’s just say one out of two isn’t bad! 🙂 Am I missing something or has WP removed this option? This is great, I hope you do more. How do I get the extra tool bar? Hi Kevil. I forgot to mention how you get that. If you look at the image “With Kitchen Sink”, just above the question mark is a box with dashes in. Clicking on that gives you the bottom bar. I heard angels singing and I’m pretty sure it just got brighter in my living room with the click of that little dash button! Thank you! The little things make me happy! I hope it can be.